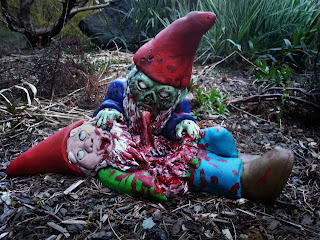 I'm in love with Garden Zombie Gnomes. I enjoy the regular ones as well but throw in a little Zombie and everything is just that much better! Dougfx makes some pretty killer ones (found here on etsy) that I would love to see sprout up in my garden.